Canada's Prime Minister Justin Trudeau speaks at the Nelson Mandela Peace Summit during the 73rd United Nations General Assembly in New York, U.S., Sept. 24, 2018. Canada was rebuked on Monday by a group of world leaders and experts on drug policy for endorsing a Trump-led declaration renewing the “war on drugs” and for passing up a critical moment to provide global leadership on drug regulation. The Trudeau government’s decision to sign on to the declaration, released by the White House on the sidelines of U.S. President Donald Trump’s first attendance at the United Nations General Assembly in New York, contradicts Ottawa’s previous skepticism of Washington’s drugs war at home and abroad, and comes just weeks before cannabis legalization in Canada. Former New Zealand prime minister Helen Clark said she believed that both Canada and Mexico − which also signed the declaration even though president-elect Andres Manuel Lopez Obrador has repeatedly said that the “war on drugs” has failed and he will pursue new policy − likely have signed on reluctantly, held hostage by the North American free-trade agreement talks in Washington, over which a critical deadline looms. Countries that signed the “Global Call to Action on the World Drug Problem” were promised an invitation for their leader to attend a kick-off event with Mr. Trump in New York. The statement was not drafted in the usual multilateral process of a declaration from the UN and the wording was presented as non-negotiable. One hundred and thirty countries signed but 63 did not; the dissenters include major U.S. allies such as Germany, Norway and Spain. The statement reiterates the primacy of international “narcotics control” efforts, with an emphasis on criminalization and the role of law enforcement. It does not contain the word “human rights”; advocates for harm reduction and against mass incarceration have been trying to inject a rights-focused approach into international drug policy. Early on, the United States enlisted Russia and the Philippines − where President Rodrigo Duterte has declared a “drug war” that has resulted in more than 20,000 extrajudicial killings of suspected drug users − as “co-hosts” of the statement. A panel of the former heads of government who lead the Global Commission on Drug Policy, a respected, non-partisan body, said here that they had expected Canada not to sign. "It’s clear that a good third of the signatories have already moved along the path [to regulation] – they’re being hypocritical and sucking up to Trump – it’s pathetic and painful,” said Maria Cattaui, a commission member from Switzerland. Nick Clegg, the former deputy prime minister of Britain, called the Canadian endorsement a diplomatic decision rather than a policy one. “I guess there was a judgment to be made, which from my days in government I can understand, why they did it – if you’re fighting lots of battles at once, you probably decide which battles to choose,” he said. Commission members emphasized this point on Monday. “The international drug control system … has to evolve to meet the needs of the reform-minded states and there are such states – Canada is the latest example,” Ms. Clark said. 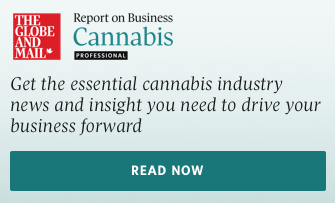 “Canada has moved to legal regulation of cannabis knowing that a strict interpretation of the current international drug compliance system would see it non-compliant."